All Police cars have been fitted with Global Positioning System (GPS) to monitor their movements on a 24-hour basis. This has been confirmed by the Police Commissioner Brigadier-General Sitiveni Qiliho. All Police cars have been fitted with Global Positioning System (GPS) to monitor their movements on a 24-hour basis. This has been confirmed by the Police Commissioner Brigadier-General Sitiveni Qiliho. Mr Qiliho said that in the coming weeks, all motorbikes would be fitted and this was being done because the Police Force had to be transparent about their work. “We are accountable for the use of all Government resources,” Mr Qiliho said. Mr Qiliho said the Divisional Police Commissioners (DPC) and Directors needed to tighten the reins on the use of the vehicles. “The accidents are a disgrace to the institution that operates on a 24/7 basis. Speeding and driver negligence are the contributing factors to Police accidents, while on unauthorised runs or vehicles leaving a district or station,” he said. “I was shocked and disappointed when I received the reports of the GPS Monitoring System and have directed on whether or not they are attending to a genuine emergency. 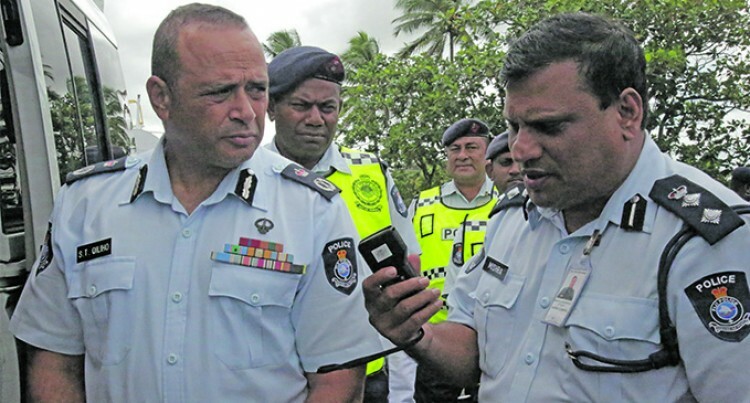 Meanwhile, Mr Qiliho while recieivng 106 vehilcles on Monday for the Police Force said that the new modified vehicles would greatly enhance the Fiji Police Force capabilities when dealing with issues there and then. “I want to reassure the people of Fiji that with the injection of these mobility assets today and with the modified vehicles that are there now in terms of command vehicles, scene-of-crime vehicles will greatly enhance our capabilities in dealing with issues there and then,” Mr Qiliho said. He said they plan to have scene-of-crime vehicles in each division. “We are planning to have a scene-of-crime vehicle in each division. We are thankful to the Fiji Naval division of the RFMF for their ideas and their technical people for coming and working with us in fitting the command vehicles, so the navy has been greatly helping us in their technical expertise working with my officers to convert these vehicles to command vehicles,” he said. “It is exciting also in the sense that these vehicles have been specifically modified to meet the needs of a number of our specialised units.” He added that Government understood the growing demands on policing, and the onus was on the Police Force to prove that their investment was worth every cent.